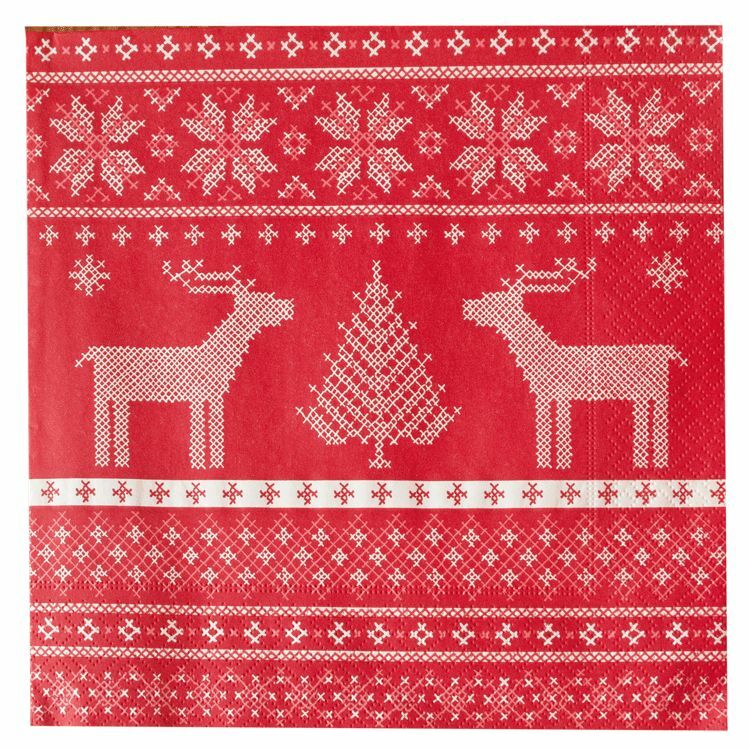 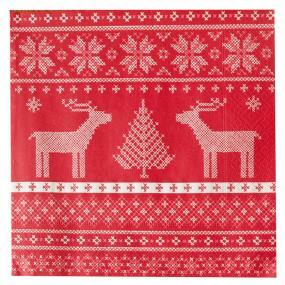 Attractive red and white paper dinner napkins with a cross stitch style reindeer design. 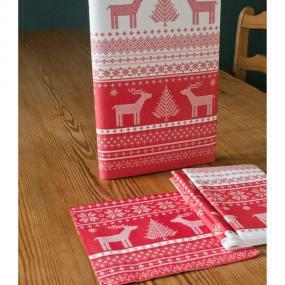 Each pack contains 20 3 ply dinner napkins which each measure 40 x 40 cm. 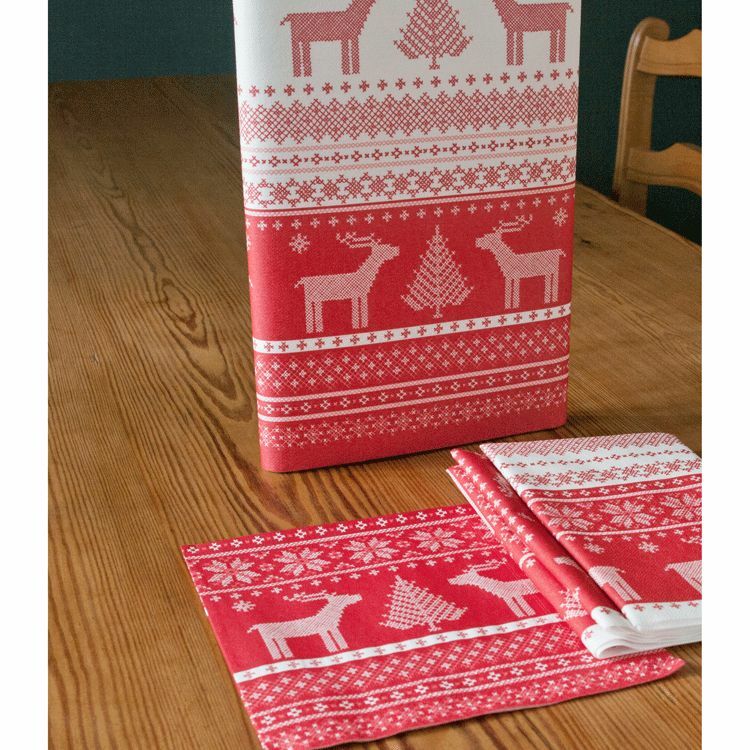 Beautiful and such good quality.